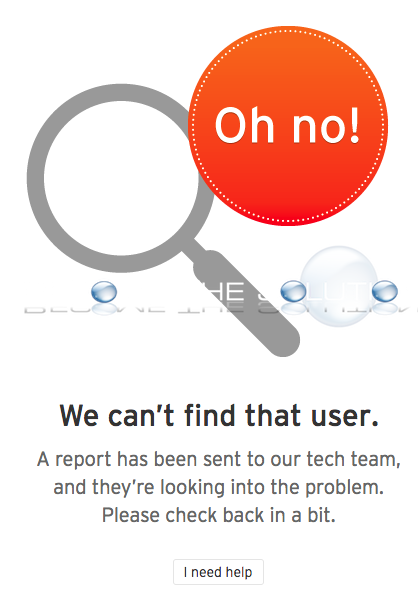 If you recently browsed to a SoundCloud profile, you may receive a message that the user cannot be found. A report has been sent to our tech team, and they’re looking into the problem. Please check back in a bit. You likely received this error message because the SoundCoud profile was automatically deleted due to copyright infringement or the user themselves recently deleted their profile. SoundCloud community members suggest to try clearing your web browser cache and the SoundCloud profile will appear after you refresh the SoundCloud page, however this does not work in every case. If you are experiencing this error message with a popular SoundCloud user profile, user the comment form below to let us know.